IPO Wealth has appointed Ewan Laughlin as CEO. Mr Laughlin will oversee IPO Wealth’s next phase of growth, with the investment manager recently reaching over $80 million in capital raised from Australian wholesale and sophisticated investors in less than two years for its IPO Wealth Fund. Mr Laughlin joins IPO Wealth from CBA, where during his near decade tenure he implemented over $1 billion in financing solutions for clients and significantly built the bank’s business division. Prior to his role at CBA, Mr Laughlin was associate director, institutional banking at National Australia Bank, where he was engaged in significant transactions with some of the leading brands listed on the ASX 200. The appointment of Mr Laughlin as chief executive officer comes as Mayfair 101, the private equity group which oversees IPO Wealth, continues to focus its investments in overseas and emerging markets, where the group claims yields are higher and economic conditions are more favourable. “Having seen IPO Wealth develop over the past year, I am delighted to be leading the team through this next phase of growth. We have some exciting developments in the pipeline that will benefit existing and new investors seeking consistent income from their investments, which has historically been hard to find in traditional cash products,” Mr Laughlin said. 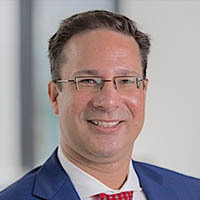 He holds a bachelor of economics (honours) from La Trobe University and a master of applied finance from the graduate school of business at Macquarie University.